The Volognano Castle – whose name is probably of Etruscan origin or derived from the Roman Lucio Volumnio – dates back to the 11th century. 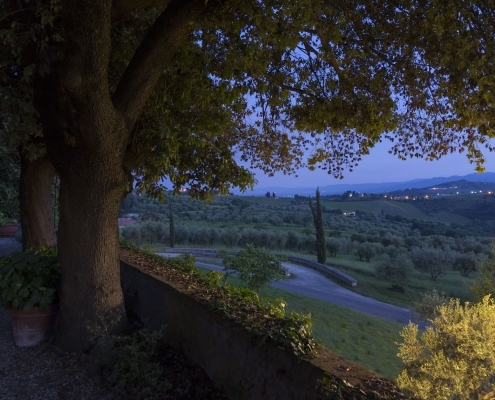 Since the times of Dante and Petrarca, the Castle has welcomed famous personalities and more recently also Gioacchino Rossini, Giosuè Carducci and Enrico Fermi. At the beginning of the 60s the entrepreneur Ezio Pecchioli bought the company and planted the first specialised vineyards in the lands of Volognano that were cultivated with the typical lavish cultivations of the Tuscan sharecropping; since then three generations have worked and invested in this ambitious project. The interest and dedication that bind the vine to the Castle have been directed towards superior quality products, in line with the technological evolution of the last few years while respecting the ancient traditions. Today in the historical residence, carefully restored and transformed into a living space stays in an atmosphere of other times are possible. 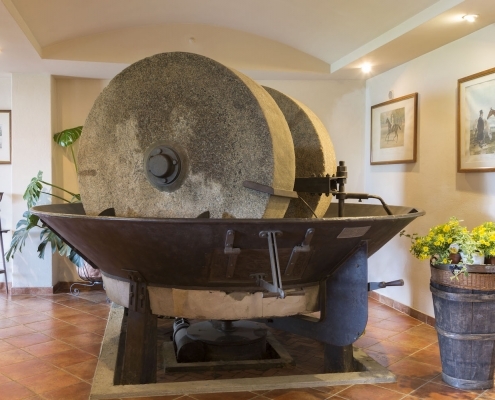 In the ancient cellar, also restored in perfect harmony with the style of the manor, tastings with Tuscan gastronomic specialties, food and wine workshops are organised as well as visits to the agricultural museum, set up with tools used in the past for working the land and vineyards, some of which are of considerable value.